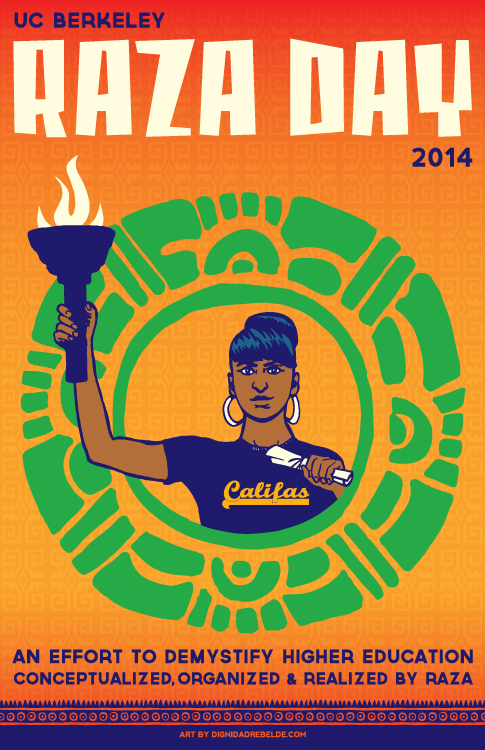 This year marks the 38th annual Raza Day at UC Berkeley. It is a day of workshops and activities intended to encourage middle school, high school and community college students to pursue higher education. I will be speaking at this year’s event at 9:30 am on Nov 1st in Wheeler Hall. It is free and open to the public so bring your kids, nieces, nephews, neighbors etc. This is the poster I designed that will be give out to all the youth in attendance.